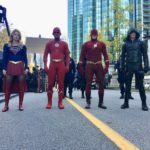 The December 2018 crossover between Arrow, Flash and Supergirl will focus on Gotham City (it’s not clear which universe, but I’d guess Supergirl’s), feature Superman and the Flash together, and introduce both Batwoman and Lois Lane. He sounds like a new character. But I wonder if he’s an adaptation of Doctor Destiny, aka John Dee? Good casting in either case! 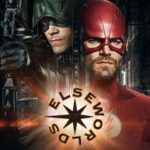 This entry was posted in Flash News, Media and tagged Casting, crossover, Doctor Destiny, Dr. John Deegan, Flash TV Show 2014 on September 20, 2018 by Kelson.